I really believe that Torontonians hide out for the cold winter evenings. Sure, some in their 20's may go out at 11pm to stand in line for the latest and greatest club; and those with young kids need to bear the deep freeze to entertain their energetic, winter sport-loving rascals - but most of us, if given the choice would prefer to stay in to watch a favourite movie, catch up on social media or blog (if you're like me) with a bowl of hearty soup and a cup of hot cocoa for dessert. Pop culture re-defines the term "hibernate" to describe this crazy winter phenomenon. 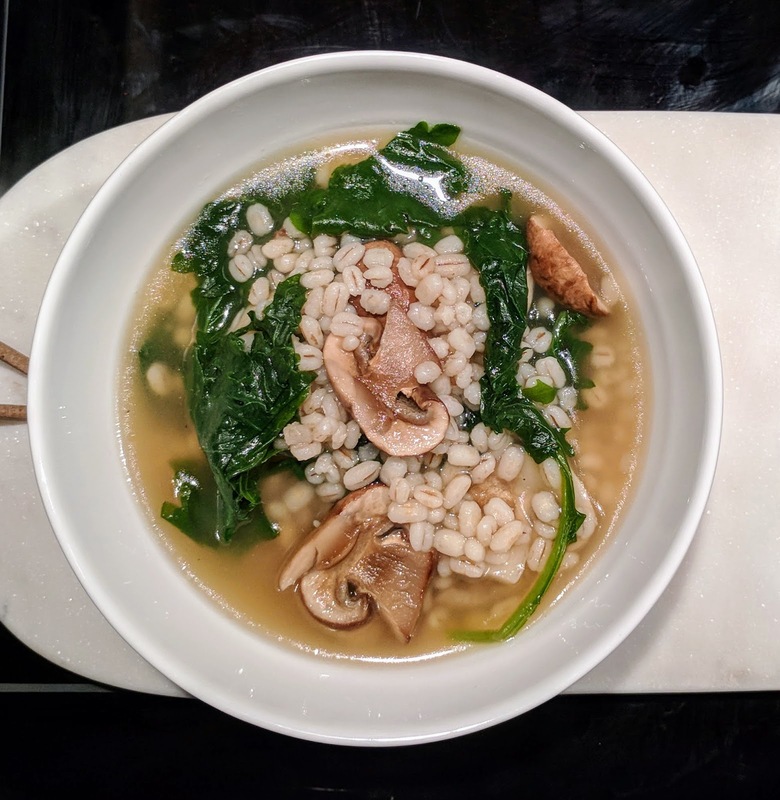 My kale, mushroom and barley soup is a perfect, all-on-one comfort meal to complete this evening. It's a nutritious and delicious way to finish off the day. This recipe serves one as a stand alone meal or two as a soup starter. Cook the pre-soaked barley in water for 30 min, drain. Bring the stock in a medium pot to a boil and add the kale and sliced mushrooms and simmer for 5 min. Add the cooked barley and simmer for 10 min, until the barley is soft. Add salt and pepper.